Originally Published in DeneenBorelli.com on 6/11/14. Going green has gone wild at the Veterans Administration. An analysis of more than $1 billion dollars in spending by the Department of Veterans Affairs on “professional services” finds several instances of questionable spending, including millions for a national ad campaign and energy programs to make VA facilities more sustainable. The green energy spending was ordered by President Obama under an executive order. Other contracts awarded during the current administration under “office support/professional service” included millions spent on “energy program development.” Due to an executive order signed by Obama in October 2009, the VA is required to make its facilities more energy efficient and sustainable. By 2020, the VA’s goal is to increase its renewable energy consumption to 20 percent; a total of 183 green energy projects were awarded for VA facilities across the country. 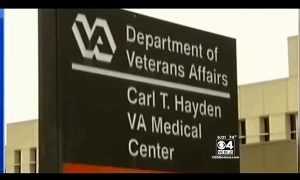 One such contract was for a Washington D.C.-based VA facility for nearly $1 million. A new report from the Office of the Inspector General of the Department of Energy comes down hard on Solyndra, the now-bankrupt solar energy firm that, in September 2009, received a $535 million government-backed loan. The loan was funded by President Barack Obama's 2009 stimulus package, which wasted some $50 billion on green programs.